Originally a small community located just outside the Cherokee settlement of Kennesaw, Marietta has grown into a large suburb with a rich history. Located 15 miles northwest of Atlanta, Marietta is a great travel destination for the whole family. The Marietta Museum of History is located in the historic Marietta Square. Located on the second floor of the historic Kennesaw House, the museum features several permanent and temporary exhibits that depict the history of Marietta from the early 1800s to the present. Two permanent exhibits include the Homelife and Military galleries. the Homelife Gallery is a collection of antique and vintage artifacts from the 19th and early 20th centuries. A favorite display for museum patrons is the 1940s kitchen vignette that was designed and built according to the childhood memories of museum volunteers. The Military Gallery features uniforms and battlefield relics from many American conflicts, from the Civil War to the present. The museum also features an Aviation Wing that is open to the public Thursday through Sunday, weather permitting. The Aviation Wing includes civilian and military aircraft from the latter half of the 20th century and features aircraft produced in Marietta. Marietta offers many self-guided tours as well as annual festivals that celebrate the city’s rich history. Marietta features a walking tour of the suburb’s five historic districts. The tour is self-guided and visitors can pick up a map from the Marietta Visitors Bureau. Many of the historic Victorian-era homes in Marietta are privately owned and are not open to the public; however, the city does open select homes during certain times of the year. One example is The Marietta Pilgrimage, a Christmas home tour that has been amazing both visitors and residents of Marietta for over 30 years. The Marietta Pilgrimage has been featured in publications that include Southern Living. 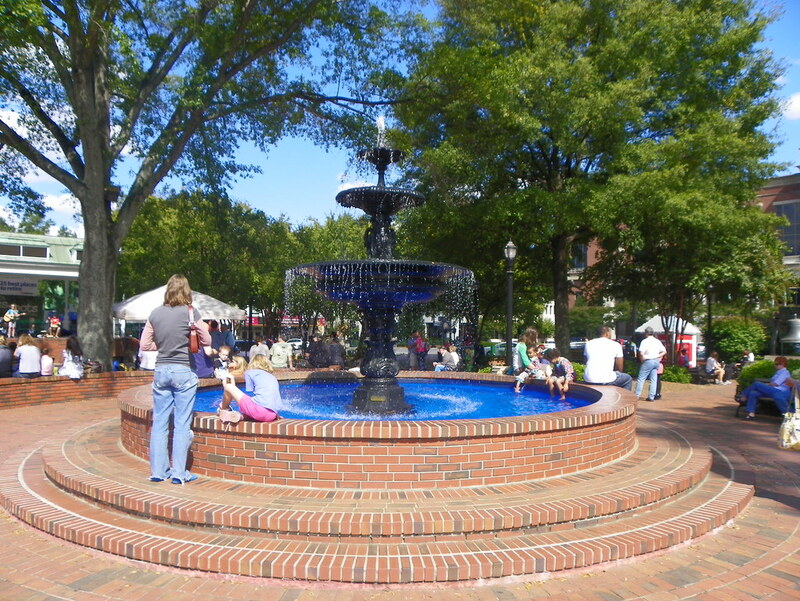 The square, located in downtown Marietta, is the perfect spot to relax, have a picnic, or take in a concert. In the center of the square is Glover Park, which features a playground, fountain, and bandstand. Marietta Square is surrounded by several hotels as well as an array of shops and restaurants that are sure to please any taste or palate. Marietta Square is also filled with history. The Marietta Museum of History, the Marietta Cobb Museum of Art, and the “Gone with the Wind” Museum are all located in Marietta Square. The square was also an important landmark during the Civil War, serving as a place for the militia to train as well as a military hospital. Located right outside of Marietta, the Kennesaw Mountain National Battlefield preserves the land where part of the Atlanta Campaign took place during the Civil War. The nearly 3,000-acre park boasts over 22 miles of maintained trails as well as a museum. The museum features many activities, including weekend ranger talks and a documentary depicting the Atlanta Campaign and the Battle of Kennesaw. From self-guided tours to multiple museums, Marietta is a city with a rich history that is available to visitors from far and wide to enjoy.